Posted April 20th, 2017 by Jessica Garcia & filed under Uncategorized. Everyone wants to make the most of their vacation; But how do you decide what will be the most fun and leave you with lasting memories for a lifetime? Let’s explore the 5 must do’s while vacationing in Cancun. Looking for something you have never experienced before? Look no further than the parks of the Riviera Maya. 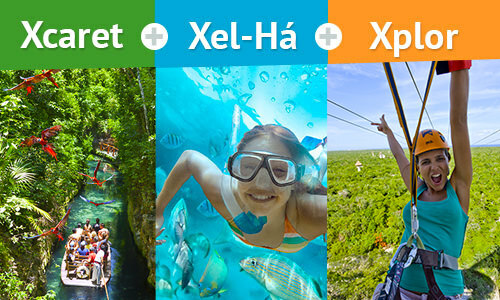 Xplor, Xel Ha and Xcaret are world famous parks located a short drive from Cancun. From water excursions, flying through the jungle, wild animals, amazing food and shows, these parks have everything you never knew you wanted! If you are looking to see and do as much as you can, then you have to clear out a day to visit one of the islands located just off the coast. 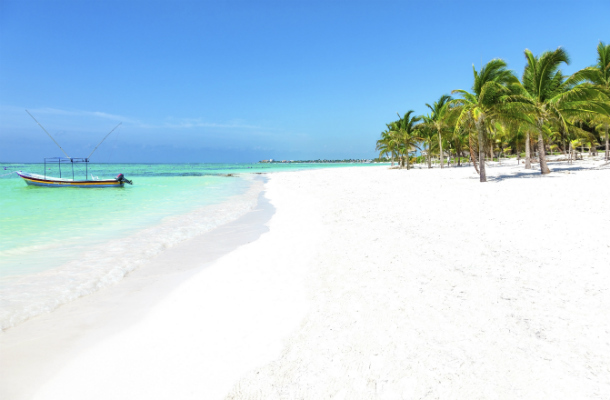 A short ferry ride will take you along the Caribbean Sea and land you on beautiful white sand beaches from either the beautiful Isla Mujeres, the famous Cozumel, or the rich with wildlife, Holbox. No matter which Island you choose you will not be disappointed. With perfect weather available over 300 days a year in Cancun, we know you are coming for the sun, sand, and clear blue waters. Cancun has all types of beaches to offer you from popular ones full of venders and tourists to more private smaller ones where you can relax. With so many amazing beaches to choose from we know you will make time to either lay in the sand with a drink in your hand or splash around in the warm waters. If you are looking to see some amazing sights while visiting historic places then you can’t miss the Mayan Ruins. These ancient structures have lasted over time and still stand today for you to witness. 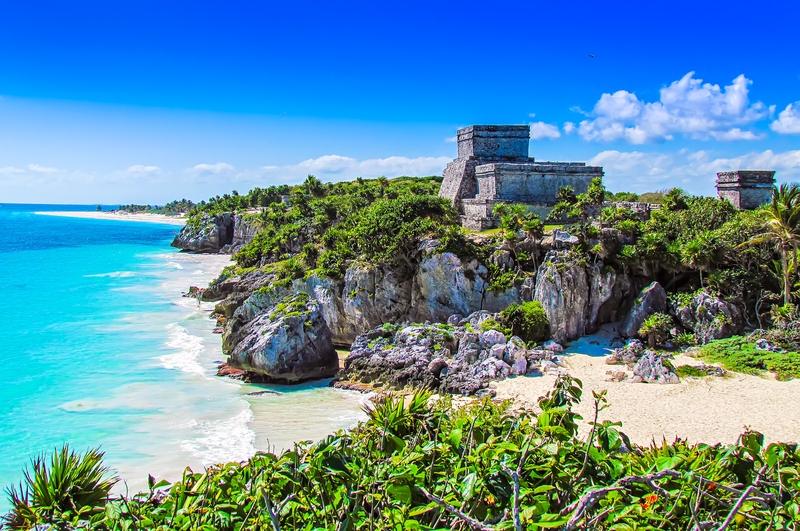 Gaze over the cliffs in Tulum next to towering ruins into the Caribbean Sea or witness the ruins of one of the Seven Wonders of the World at Chichen Itza. 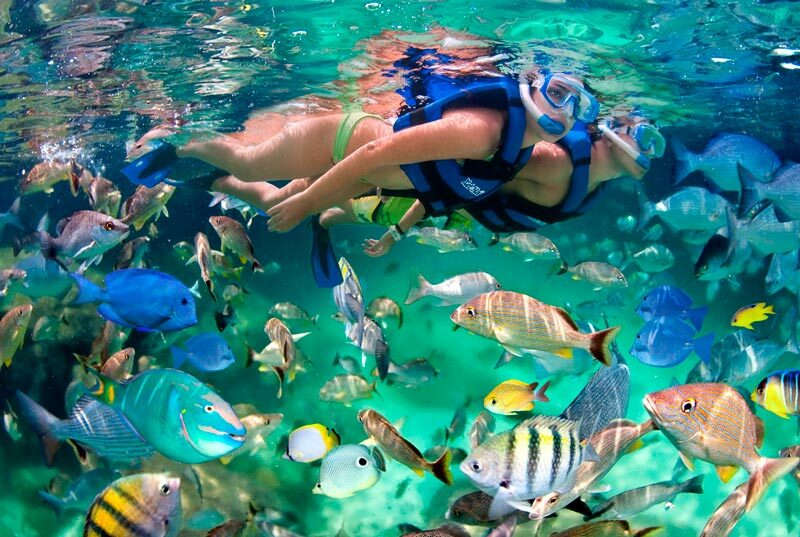 With crystal clear warm waters and countless species of colourful fish, you would be silly to pass up snorkelling in Cancun. There are plenty of places where you will have the opportunity to snorkel in Cancun including remote beaches and off the coast of breathtaking Islands. Where ever you decide to snorkel we know you’ll you will fall in love with the second largest barrier reef in the world. Making the most of your Cancun vacation can be simple and easy if you know what to do and where to go for what you want. 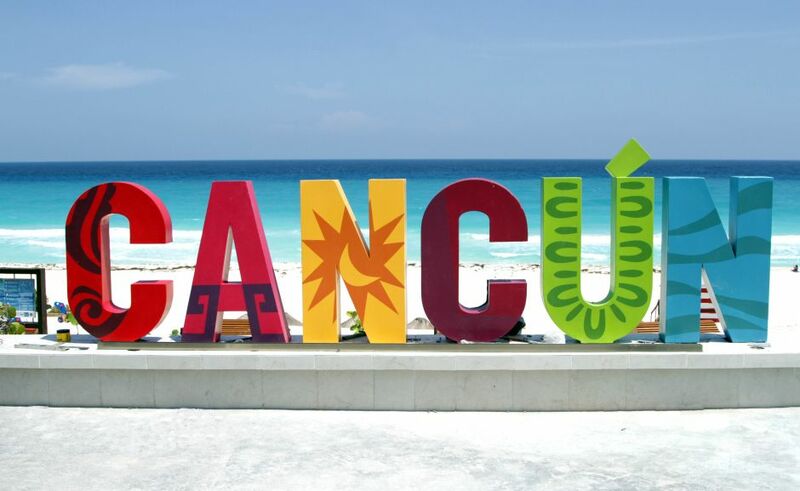 If you are ready to start planning your Cancun vacation then click here!